Jereem Richards has always been one to deliver when it mattered most. As an 18 year-old, he let a lifetime best to finish fourth in the 200m at his National Championships, earning him a spot at the Central American and Carribean Championships where he won his first international medal. Two years later, Jereem was embarking on his university career at South Plains College, where he scored in both the open 400m and as a key member of the 4x400m Relay. The following season, Jereem took first over 400m in the National Junior College Championships. Despite missing out on nearly all of the 2016 season due to injury, Jereem was recruited to finish his collegiate career at the University of Alabama. At Alabama, Jereem finished second in the NCAA Indoor Champinoships over 200m, setting a national record. Outdoors, Jereem set a lifetime best of 19.97, breaking Calvin Smith’s 34 year-old school record. After a third place finish over 200m at the NCAA Outdoor Championships, Jereem was named to Trinidad & Tobago’s national team for the IAAF World Championships in London. In London, Jereem exceeded all expectations, and won the bronze medal in the 200 meters. As if that wasn’t enough, Jereem won gold as a key member of Trinidad & Tobago’s 4x400m Relay team, winning the world title in a shock upset over the USA. 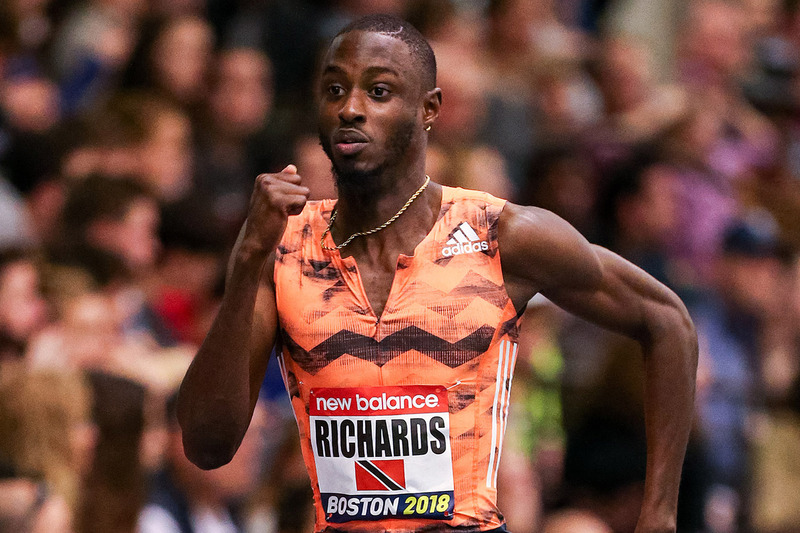 One month after winning two medals at the IAAF World Championships in London, Jereem Richards and his representatives at Global Athletics have announced that he had turned professional and has agreed to an endorsement contract with adidas. In April 2018, during his first season as a professional athlete, Jereem won the gold medal over 200m at the Commonwealth Games in Gold Coast, Australia.